The future is of electric vehicles and TVS forays to launch its own all new electric scooter by the beginning of 2018.The works are in full swing on this scooter and TVS is making sure no details are revealed before its launch. According to unconfirmed reports , TVS has added parts of car apart from the basic design in this upcoming electric scooter in India.According to the official sources it has been said that company’s solid R&D programme is working in this direction.No details about battery and price has been revealed yet.It is being said that TVS will showcase in 2018 Auto Expo and it will be launched there after. 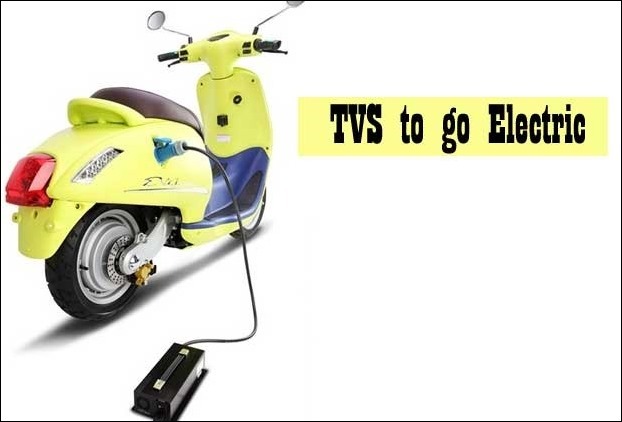 TVS electric scooter will be manufactured at its Chennai Plant.The company , according to official sources , is preparing to enter into electrical scooter segment which seems to be a promising arena. According to current estimates there is a sale of around 15,000 to 20,000 2-wheeler electric vehicles is India as compared to the 1.7 CR sale figure of petrol based 2-wheeler vehicles.